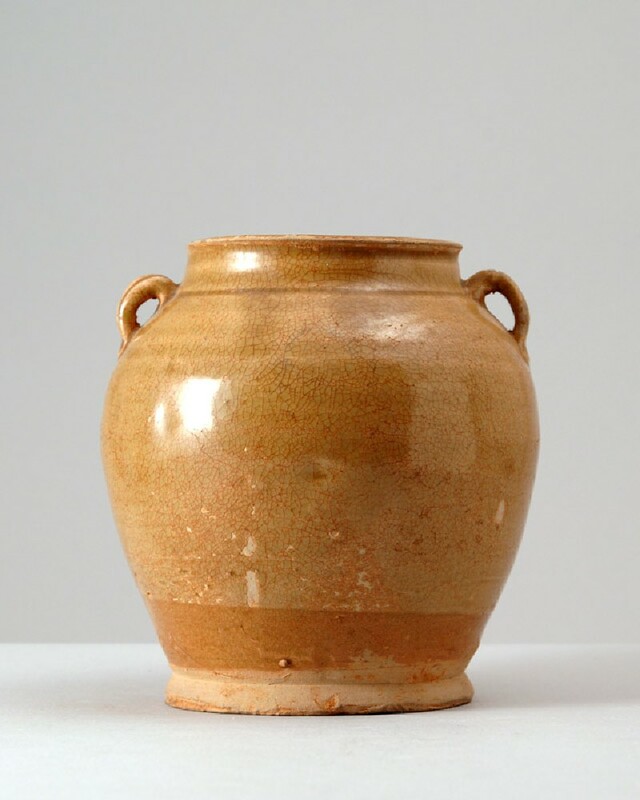 The ovoid jar is heavily potted, tapering to a short wide neck with flared rim, and a splayed solid foot with flat base. Two small loop handles with vertical groove are attached at the shoulder. The light grey body is covered with a white slip and bears a yellowish-green glaze with an overall crackle, the glaze ending above the foot, leaving foot and base free. The slip ends higher up, and the glaze has fired a more yellowish amber colour, where it adheres directly to the body. Both body and glaze have discoloured through exposure to red earth, and the glaze is flaking off in places.